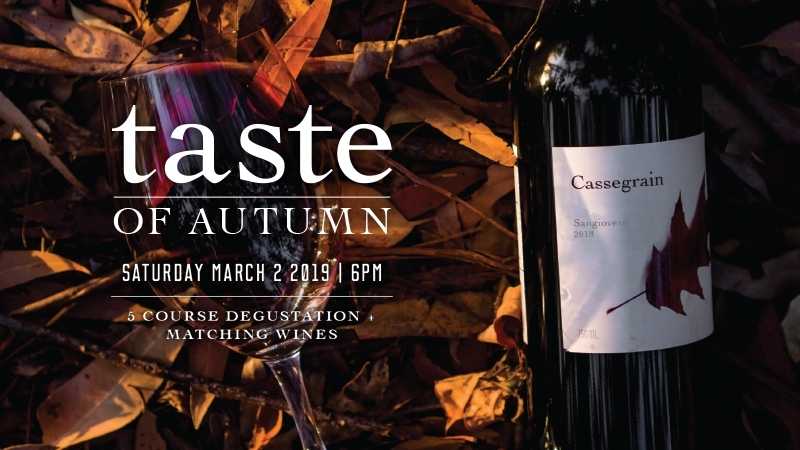 Join us on March 2, 2019 for a night of wining, dining and celebrating the change of season! Enjoy our new release wines elegantly paired with a delectable 5-course French-inspired menu down in The Grounds under an expansive marquee. 5-course French-inspired meals paired with our Autumn Edition new release wines. Transportation options are available! Book through the link below for bus details.